Heartfelt thank you to Kensington Books for this beautiful book! Absolutely thrilled to read and review this one. A handsome doctor for a husband, with a trust fund and a family villa in St. Tropez—it was all supposed to be Cherry’s. Now, instead of living with Daniel in his impeccable home, she’s jobless and broke. And then Cherry discovers Laura’s stunning deception. But Cherry is too clever, too ambitious to let her get away with it. She’d already transformed herself into Daniel’s dream woman. Now she’ll become Laura’s worst nightmare. 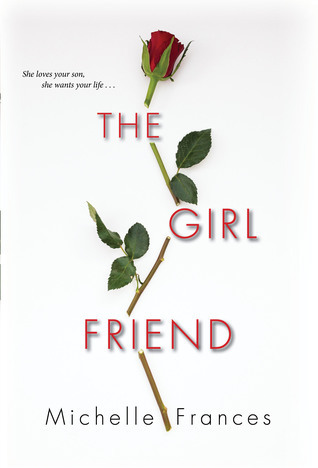 Domestic thrillers seem to be making a comeback and I am NOT unhappy about that. They are fun reads and it's interesting to see how an author will bring this kind of story to life. In this case, we have two deplorable characters: Laura and Cherry. Boy did the author make me despise both of them! Cherry is just straight up certifiable, selfish and manipulative. Laura just lives in her little bubble and makes some extremely dumb mistakes... but they all at least stem from what seems to be a good place. Poor Daniel having to be stuck between the two of them! I went back and forth in how I really felt about this book. I would put this more in a Domestic Suspense/Drama category than a thriller. As such, we get the full on cat and mouse game between Laura and Cherry. The author does it well - she definitely kept my interest and I quickly finished the book as it was highly entertaining and easy to get through. I did, however, feel that it became a bit repetitive at times. Cherry, Laura, Cherry, Laura, Cherry, Laura... get my drift? I felt myself growing just a bit tired of it by the time I got to the end. I also felt the ending was a bit predictable. What I absolutely loved about this book? The late night Lifetime movie I feel it had. I'm a SUCKER for those! Those who love the domestic suspense type novels that is more character driven will take a shining to this lovely book. I definitely found it highly entertaining. Laura Cavendish is so excited to finally meet the woman that has stolen her son's love. 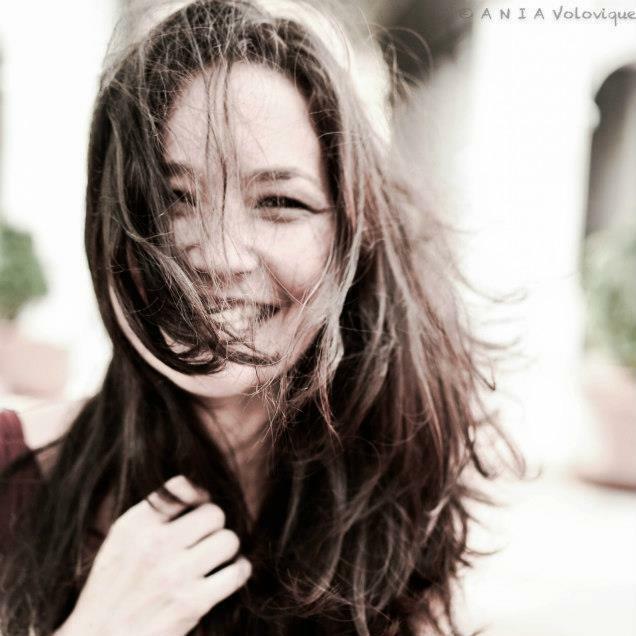 Even with her successful television career and happy marriage, her main focus in life is her son, Daniel. She's hopeful that Cherry, the woman that has won his affection, could become a close friend and maybe one day, her daughter-in-law. After meeting Cherry, Laura is concerned. She can't seem to warm up to Cherry. There's something about the possessiveness towards her son and Laura can't help but feel that she's lying to her and Daniel. After Daniel is in a horrible accident that has left him in a coma and near death, Laura carries out an unbelievable lie that she thinks won't be found out. This has left Cherry homeless, jobless, and without the man she transformed herself for. After learning about Laura's deception, Cherry has made it her mission to become Laura's living nightmare. Both Cherry and Laura were those characters that you love and hate. Cherry is incredibly manipulative and self-absorbed, while Laura lives in her fantasy world that causes her to make some awful judgement calls. While the ending was more predictable it was still a very entertaining read. 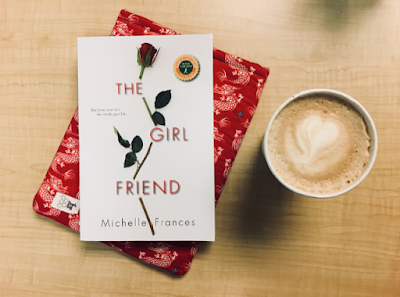 If you want a good cat and mouse suspense between two women trying to out-smart the other, then this will be one you'll definitely enjoy! Overall, this falls under the more character driven suspense novels. So if you're one that likes getting into the characters' minds then this would be a great one to pick up. 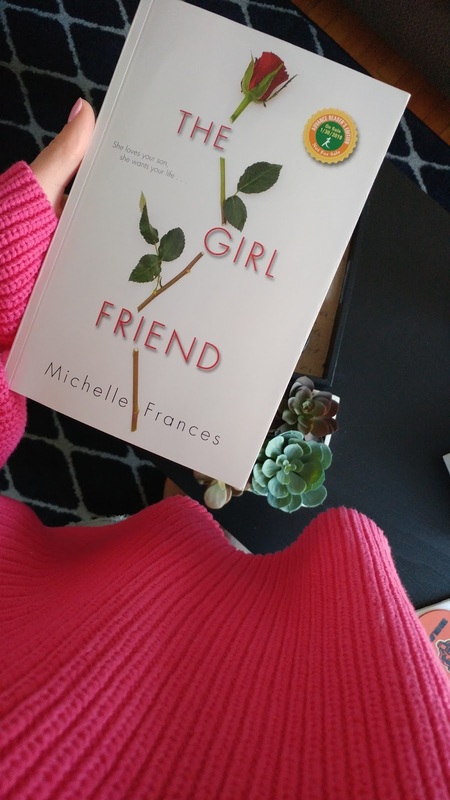 I will be looking for more from Michelle Frances in the future. Again, a solid and entertaining debut! 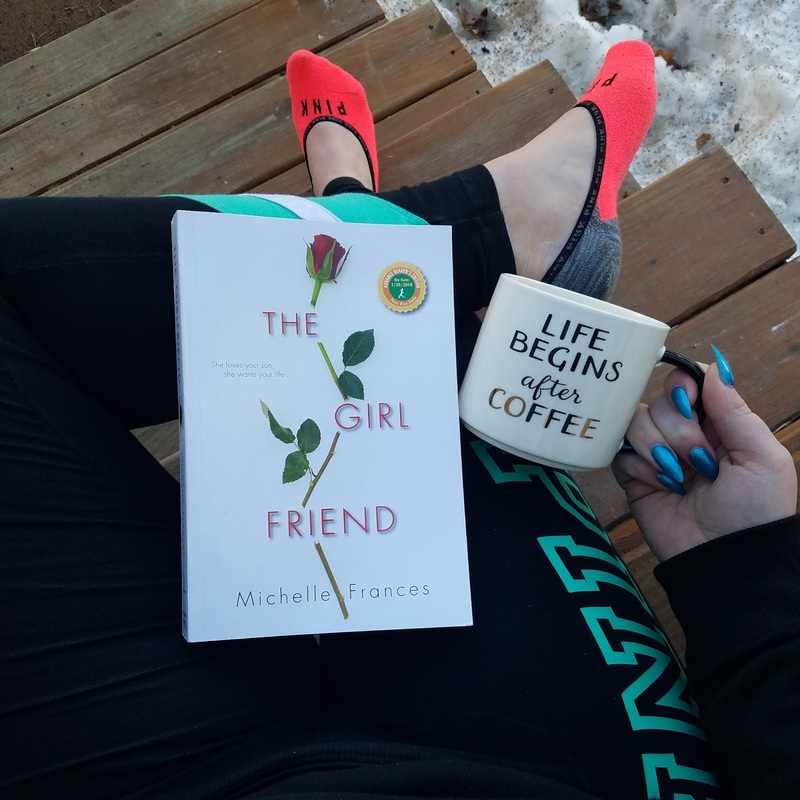 I try to avoid reading reviews pertaining to titles that are in my current TBR pile but, by the time I was ready to dive into The Girlfriend by Michelle Francis, I had already read several reviews and the reviews of my fellow #cjsreads members. And, in this case, I feel like it really helped me prepare for this novel. Marketed as a psychological thriller, I didn’t really feel like this one had a whole ton of “thrills” in the traditional sense. Instead, I felt like maybe this one would have been better marketed as a domestic drama or maybe contemporary family drama. There was no lack of family issues, manipulative girlfriends or overbearing mothers but I did find this one to be missing the fast paced, twisty turny type plot that I expect when reading a psychological thriller. The novel opens with Laura, the woman who has it all (a successful career, a long marriage to a rich husband and a handsome, doctor in training son), who quickly becomes disgruntled when her son begins to spend all his time with Cherry, a real estate agent from the wrong side of the tracks. Cherry wants to be welcome into the family, but Laura suspects she is not all she seems. From the first pages, this one had a lighter vibe to it and that didn’t bother me at all. I have been finding myself feeling a little “weighed down” by all the heavy, dark, thrillers I have come to know and love. I welcomed the break in The Girlfriend. Initially, I was able to breeze through the novel quite easily but it ended up taking me a long time to finish when I started to find this one a little bit too predictable and the characters generally unlikeable. In the end, this one missed the mark for me in regards to the plot but I did enjoy the author’s writing style and found that easy to digest. I feel like with a different type of story, she probably would have had me hook, line and sinker! I think fans going into the novel expecting a thriller, will be highly disappointed. However, if you like a domestic drama, then this would be better up your alley!